Although rhythm is a natural occurrence when words are strung together, in poetry, rhythm and meter is deliberate, a conscious choice. The decision to employ any given meter and thereby create a certain rhythm is a pressure for the poet to make their work the best they believe it can be. Thus, rhythm in poetic context becomes a form of measurement, with each unit of measurement being called a foot. A foot can be thought of as a building block in a line of poetry. English poetry applies five basic rhythm structures varying in stressed (/) and unstressed (-) syllables. These five basic meters consist of iambs, spondees, trochees, anapests, and dactyls. Each line of meter contains a certain number of feet, or a certain amount of building blocks. A line containing just one foot is therefore considered as ‘monometer’, two feet ‘dimeter’ and so on. Meter can also be described in overall terms. A poem containing feet that end on an unstressed syllable is described as falling meter. Consequently a poem with feet ending on a stressed syllable is rising meter. To a poet the fear of creating a page full of clichéd phrases is enough to incite a huge, inconvenient bout of writer’s block. 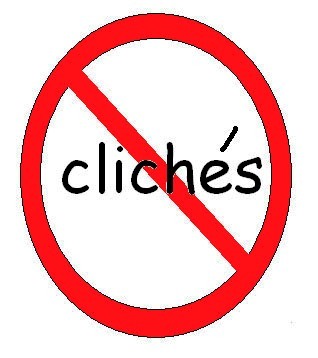 However, avoiding Cliché really isn’t all that daunting. In some instances it can simply be a case of changing or updating the modifier or using unusual lexis. For example “it was a scorching hot day” may become “tiny heated hands of sand scorched burns onto the bottom of our feet”. Yes, I admit that sentence may be a bit out there; however, what it does exemplify is how quickly a cliché can be eliminated. Keeping in mind one golden rule SHOW DON’T TELL will distance you further and further from cliché as you progress writing I (almost) promise! Aim to show the reader your point as oppose to merely telling them, even if that does mean endless nights re-writing wordplay or unexpected descriptions until you are satisfied. So long as they are consistent with each other and actually do articulate a coherent image, the guesswork will keep your poem in the company of your reader for longer. Think of crafting poetry as being a discipline similar to a surgical procedure, whereby laziness is simply unfathomable. Whilst using a stereotype may fit initially and provide a temporary cure for the body of your work. Ask yourself whether in the long run will it be healthy and substantial enough to continuously evoke strong emotions, opinions, reactions or whatever your poetry may compel from your reader? How do people actually speak? For example, when using cursing it is important to keep in mind how you will balance the realistic element of how often your character swears but also keeping in mind how including a large volume of curse words may retract attention from the speech that actually says something and actually offers the reader a destination.